The JioRail app uses IRCTC's reserved ticket booking service and lets users of JioPhone and JioPhone 2 reserve and cancel train tickets. Users can also check PNR Status, file TDR and check ticket history on the app. Reliance Jio has launched a new app called JioRail on the Jio App Store for reservation and cancellation of train tickets. The JioRail app is available only on the JioPhone and JioPhone 2. It allows users to book and cancel train tickets, check PNR status, file TDR and view booked ticket history. The app uses IRCTC's reserved ticket booking service to make bookings and cancellations. It accepts payments in the form of debit cards, credit cards, and e-wallets. 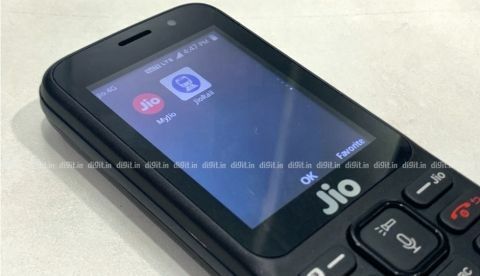 While JioPhones can connect to Wi-Fi, the app requires connection to Jio data in order to authenticate bookings. Apart from the features it offers, JioRail will reportedly expand its offerings to introduce additional services allowing users to locate trains as well as book their food orders on trains using the app. While the introduction of the JioRail app could be another big sales driver for the JioPhone, JioPhone 2, it’s not like Jio needs the numbers. According to a recent report by Counterpoint research, Jio was the overall market leader across all handset types in 2018, with a market share of 21 percent. Reliance Jio managed to capture 38 percent of the feature phone segment in just over a year. Additionally, Jio's Monsoon Hungama offer helped it to drive sales in the second half of 2018. Still, train ticket booking is an important functionality to have in an app, and to make that available to feature phone users is a step in the right direction by Jio. Once in the Jio App Store, search for JioRail and download the app. The interface is pretty straightforward and you will get options for ‘Booking’, ‘PNR Status’, and ‘Info’ upfront. 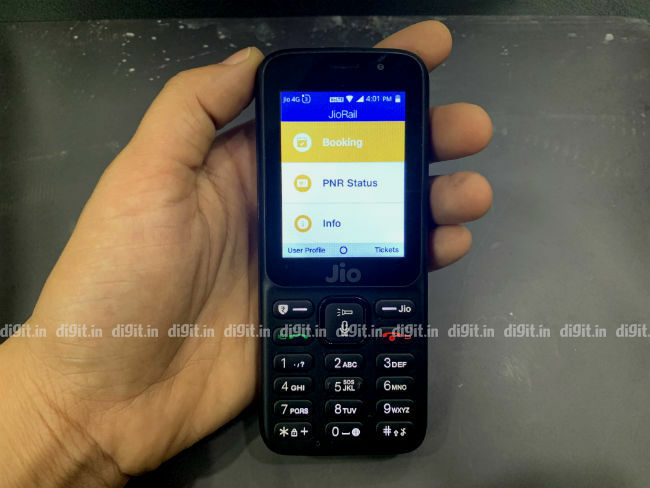 The buttons on either side of the four-way navigational key on the JioPhone can be used to view User Profiles or Tickets.